Typically the first unit in a Chemistry course contains information about Measurement and Significant Figures. Students must learn these essential skills -- they're important for this course and further study in the sciences. 1. Compare accuracy and precision of measurements. 2. Apply the rules of identifying the significant figures in a measurement. 3. Apply the rules for calculation with significant figures (adding/subtracting and multiplying/dividing). 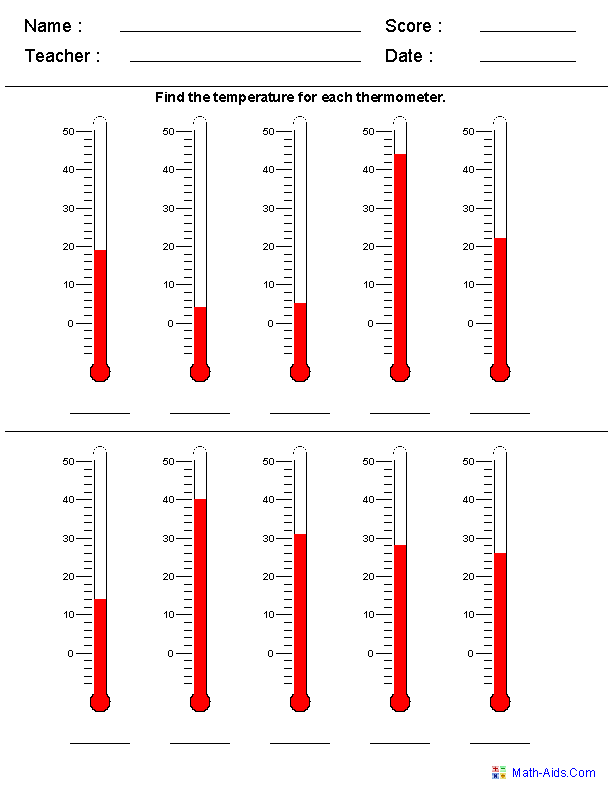 Another important skill for students is to read a measurement using an instrument to the limit of its accuracy. One way I introduce this is for the students to use centimeter rulers to measure the width of their textbook (or a piece of paper or whatever is handy). I collect various measurements (or have students write them on the board) -- for example, the students could report 20.5 cm, 20.8 cm, 21 cm and 20.4 cm. I would then report the "true" answer as 20.53589123853295 cm. 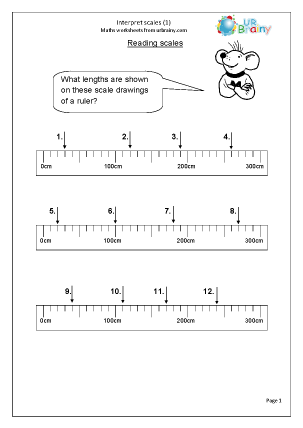 The students will be confused, recognizing, and possibly stating, that it is a made up number, that it's not possible to get this answer with the ruler being used. From there I discuss that it's important to read a measurement instrument to the limit of its accuracy, which means between the lines of the instrument. The last digit of any measurement is the uncertain digit because it is an estimate. 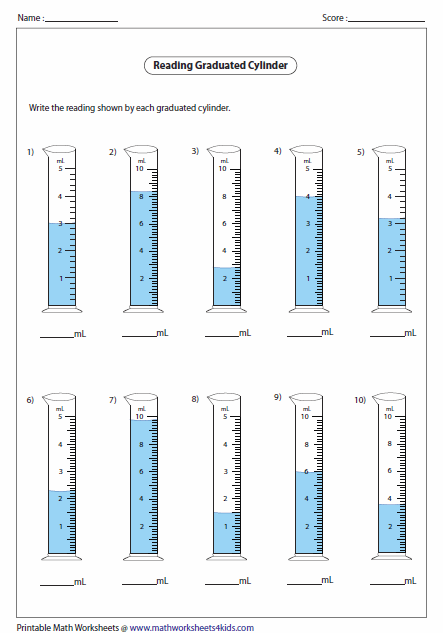 Practice in reading measurements are in the following worksheets -- some are for younger students worksheet, but there are many examples to use. Remember that because water can adhere to the sides of the graduated cylinder forming a U-shape called a meniscus, the measurement is read in the center, or bottom, of the meniscus. Because looking above the cylinder can result in an inaccurate measurement, it is important to read the measurement at eye-level. For future calculation work, it is an important skill to recognize the significant figures or sig figs in a measurement. 1. To count the significant figures in a number with a decimal point -- the first non-zero number and all numbers to the right are considered to be significant. I draw an arrow at that number and a line under all the numbers to the right. For example, 1010.0 cm has 5 significant figures. 2. To count the significant figures in a number without a decimal point -- the numbers from the first non-zero number to the last non-zero number are significant. I draw a bracket from the first non-zero number to the last non-zero number. For example, 1010 cm has 3 significant figures. 1. When adding or subtracting measured quantities, round the result so it has the same number of decimal places as the least accurate measurement. 5.34 cm + 9.3 cm + 6.12 cm is simply listed and it can be difficult to see the least significant measurement. With this layered organization, it is easier to see where the rounding will occur. 2. When multiplying or dividing measured quantities, count the number of sig figs in each measurement and round the resulting calculated value to the least number of sig figs in the measurements. For example, 0.0322 cm x 6.5 cm = 0.2093 cm2 (unrounded) -- counting the sig figs in the measurements, there are 3 and 2. The result is rounded to two significant figures, 0.21 cm2 -- because the 3rd significant figure is greater than 4. For constants or accepted values, all of the numbers are considered to be significant and the values are not considered to be limiting when rounding off calculations. The convention is to calculate first, then round off at the end. Because the rules for rounding are different for add/subtract and mult/divide, round at the end of one series of operations (adding/subtracting or multiplying/dividing) before switching to a series of operations with a different rounding rule. Notice that he cancels or combines the measurement units in the calculations. I will be talking about measurement units in a subsequent post. Also, his third video shows calculations with both add/subtract and multiply/divide calculations where rounding occurs in one calculation with one rule before switching to the other rule. This page addresses "Exact Values" as well. Thank you for your patience as I posted later due to illness. My next post will be Sunday, 8/24/14. Purchase my lab book "Chemistry on a Budget" -- it is available at amazon.com and lulu.com . The book contains 13 labs that require consumable materials you can purchase at local stores. You may be enjoying the last few days of relaxation before going back to your school. Order my book and enjoy the rest of your summer -- it will get to you in a few weeks!